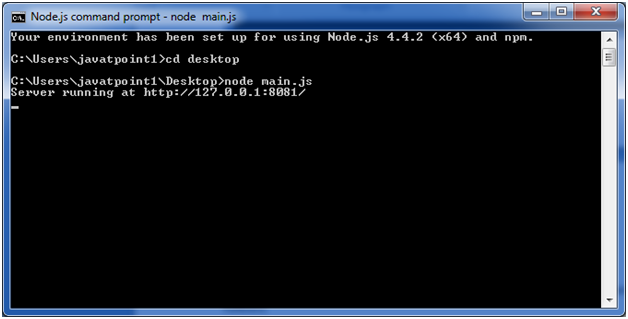 There can be console-based and web-based node.js applications. Here, console.log() function displays message on console. Import required modules: The "require" directive is used to load a Node.js module. Create server: You have to establish a server which will listen to client's request similar to Apache HTTP Server. Read request and return response: Server created in the second step will read HTTP request made by client which can be a browser or console and return the response. Combine step1 and step2 together in a file named "main.js". 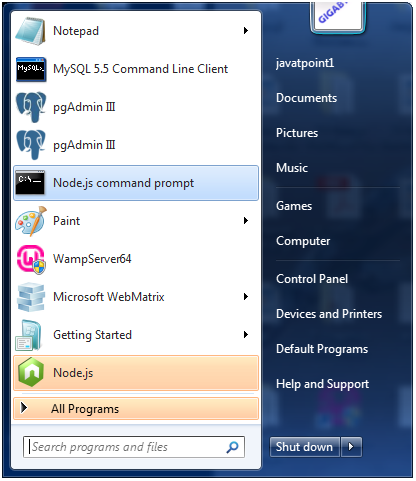 Go to start menu and click on the Node.js command prompt. Set path: Here we have save "main.js" file on the desktop. 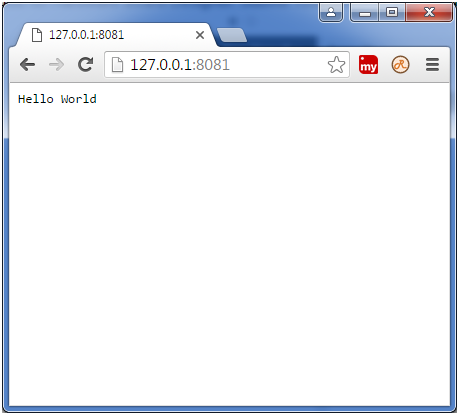 Open http://127.0.0.1:8081/ in any browser. You will see the following result. 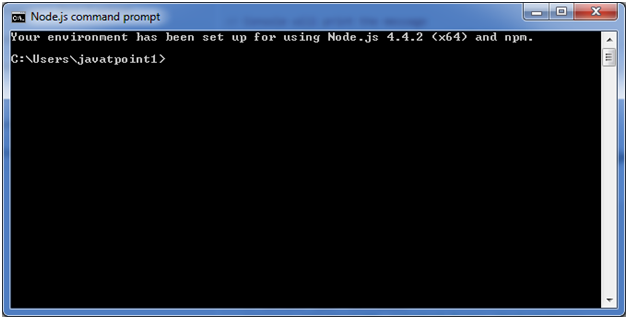 Now, if you make any changes in the "main.js" file, you need to again run the "node main.js" command.